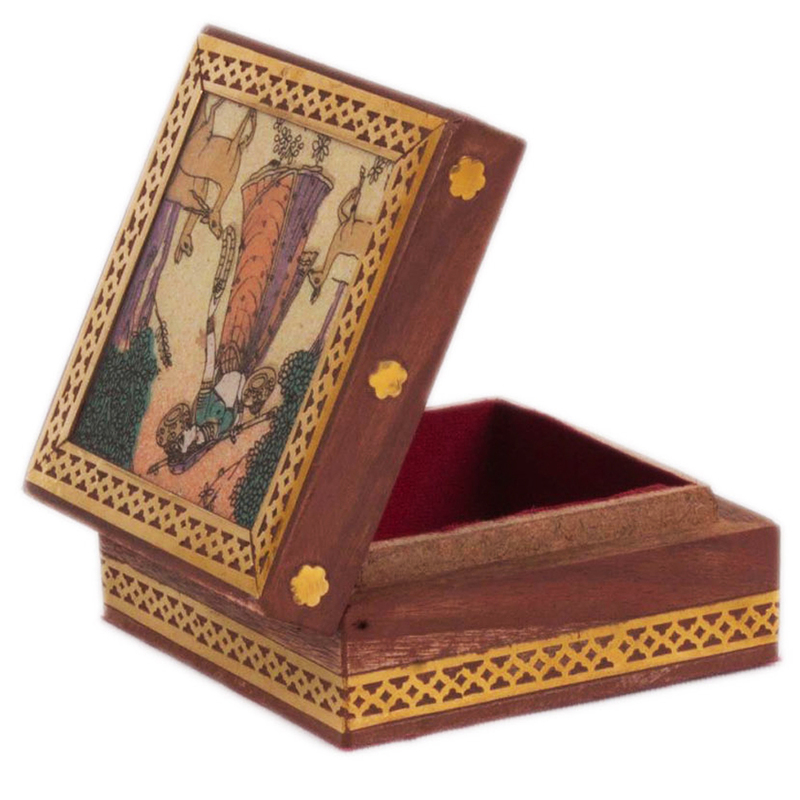 Square in shape, this box is another epic example of finest dexterity of Rajasthani artists. On the lid of the box, a flawless meera painting Read More..is created by the artist. This is made by using fine quality crushed gemstone. The painting on the box talks about the beautiful Rajasthani tradition & resonates the opulence of its rich culture. 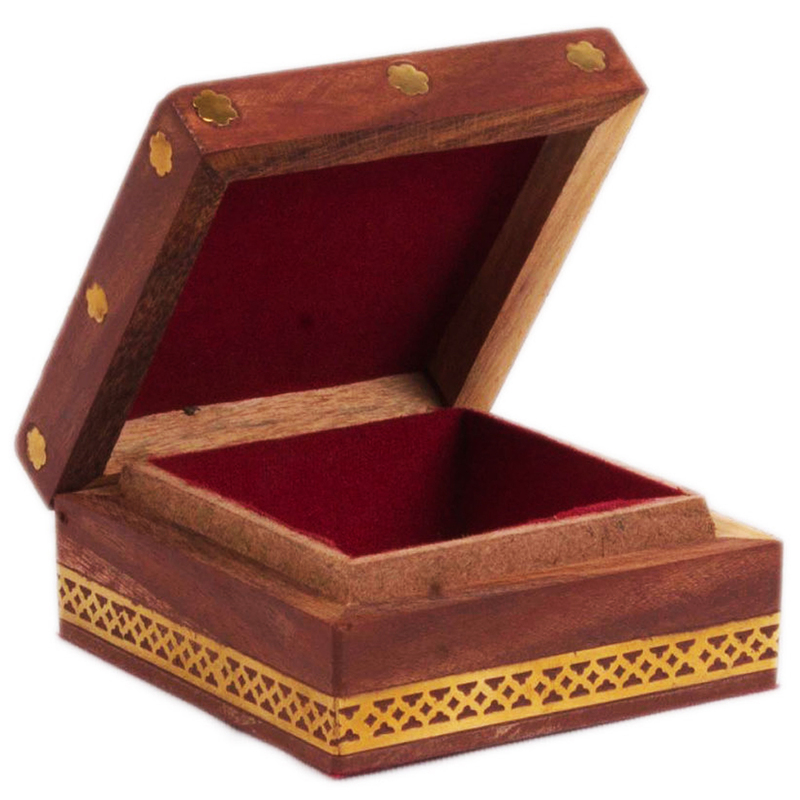 This box is ideal to keep the jewelries of a woman at one place. As the wood used in the box is very high in quality, so it signals a unique glamour, which makes it more desirable to have it. This highly durable & decorative piece is very popular in boontoon. Cost is not too high. Don’t think much; just shop it! Show Less..